Oak forests; shaded shores and banks. Quite similar to S. rugosa in the herbarium, especially if one does not have complete specimens. 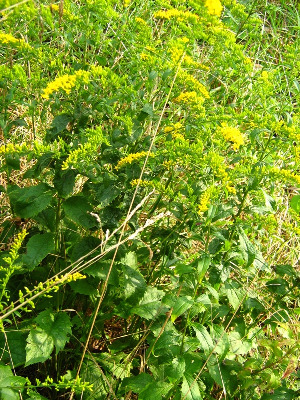 A glabrous or glabrate stemmed goldenrod of this sort, with flat (not rugose) leaves and from the southern Lower Peninsula, may require careful comparison of the two species for identification. See comments under S. rugosa. MICHIGAN FLORA ONLINE. A. A. Reznicek, E. G. Voss, & B. S. Walters. February 2011. University of Michigan. Web. 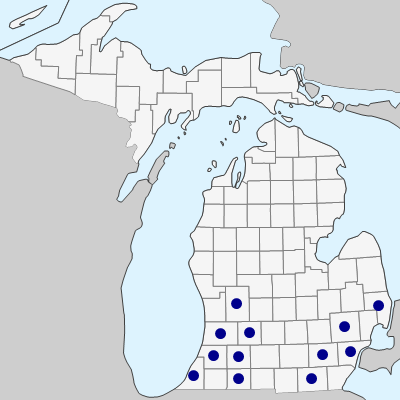 April 21, 2019. https://michiganflora.net/species.aspx?id=472.